Team Ideas – It’s Not Suicide to Play the Squad – Mark II!! The weirdest class photo ever taken. JLTW015 Copperhead – He’s pretty efficient for his points. Super Senses and Shape Change are a favorite combo of mine and they make him effective as a tie piece for your opponents big tent pole piece especially when combined with his flurry/incapacitate combo. If he had willpower I would use him all of the time. JLTW045 Killer Frost – She is one of those characters that seems powerful at first, but the more you think about it Wizkids kind of dropped the ball. She has traited steal energy for ranged attacks for her entire dial, which is normally great. However, once she gets damaged she will likely be on a 9 attack and steal energy doesn’t help at all if you can’t hit with it. On her last two clicks her attack does go back up to a ten, but you do heal you’re stuck on 9 again. And if you don’t heal, then you are sitting on a bare 16 defense with only barrier to help you. WKD15-013 Deadshot – Now this guy is a reason to play the suicide squad. He’s a lot like NFAOS056 Nick Fury which isn’t a bad thing, because I still consider Nick Fury the most powerful figure in modern. He doesn’t quite pack as much offensive punch, but he brings some tricks that Nick doesn’t have. Deadshot can have 12 range on his first click, running shot on his second click, and his combination of Ranged Combat Expert and Sharpshooter mean he is dangerous on every click. WKD15-014 Amanda Waller – She is almost more of a resource dial then a figure. Unfortunately at 90 points she would be highest point cost resource in the game. She can give her teammates sorely needed willpower, but they have to miss an attack roll once. She has outwit, but other than that she doesn’t really do much on her own. If you were making a 1000 point Suicide Squad team, then she is an auto-include because her nano-bomb trait would affect a lot of figures. However, I don’t think she is usable in a 300 point game. She just wouldn’t have enough other characters to enhance. The lowest point total team where I would use her is Probably 400. WKD15-015 Captain Boomerang – While he does have the rare Improved targeting ignores elevated terrain and a way to put his attack up as high as 13, he just seems to not bring enough to the table to justify his point cost. In order to get the bonus to attack, he has to stay behind his teammates, but since he only has a 6 range to start with it would extremely hard to be behind your team, but still in range of the other team. That same short range also serves to damper his improved targeting. Add to that the fact that he doesn’t do very much damage and he seems more like a 60 point character then a 90 point character. 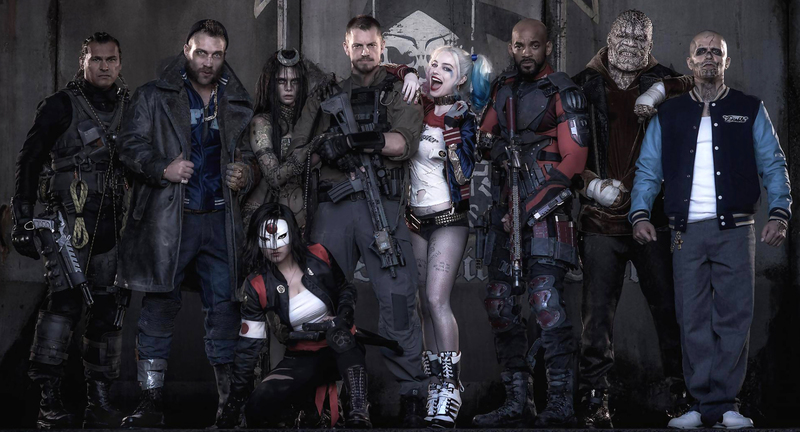 Harley has found a new puddin’ and his name is Deadshot. Since Deadshot has the most offense available of any Sucide Squad figure he’s a natural Trait for Harley’s trait and that makes him even more dangerous. Captain Cold is there as a Secondary Attacker and to provide Outwit. Mirror Master provides the transportation and since the suicide squad keyword is starved for willpower and flyers I suggest you don’t play the Suicide Squad without him. This the same team I published in my original Suicide Squad article, but moving the team from 300 to 400 points and adding Deadshot has really taken this team to the next level. Once your team is within approximately 14 squares or less from the opposing team, give Black Mask a Power Action to use his Special Attack Power (VAST FORTUNE: Give Black Mask a power action and all adjacent friendly characters that have the Assassin keyword or share a keyword with him may immediately be given a move action as a free action.) Everyone moves up as a free action (make sure to carry Black Mask), uses the three available Outwits, and takes a ranged combat shot. There isn’t a lot of additional strategy here. You are just playing as many Suicide Squad members that need willpower as you can on a team with Amanda Waller and hoping for each of them to miss early so they can get willpower. Mirror Master is the Transport. Harley enhances Deadshot. Copperhead is a tie up figure. Amanda Waller… Stays near the back and tries not to draw opposing attention. Awesome!!!!!!! Thanks so much for this!